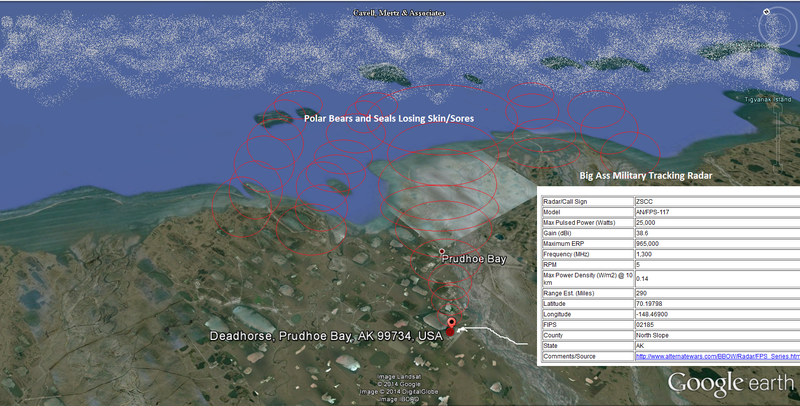 Winter/Spring 2013 Newsletter, Alaska Region Marine Mammal Stranding Network: Since the spring of 2012, a total of 23 polar bears from Barrow, Deadhorse and Kaktovik have been identified with variable degrees of hair loss/ thinning, inflamed and crusting skin, and oral lesions. The prevalence of these symptoms appears to be in about 28% of observed animals.Thus far, testing for endocrine abnormalities (thyroid function) and vitamin A and trace mineral imbalances in affected bears has been inconclusive, as have toxicity studies. 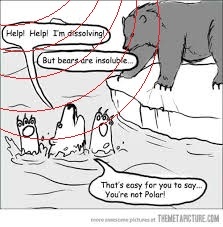 […] The concurrent presence of hair loss in seals, walrus and polar bears has suggested a possible connection between the events. 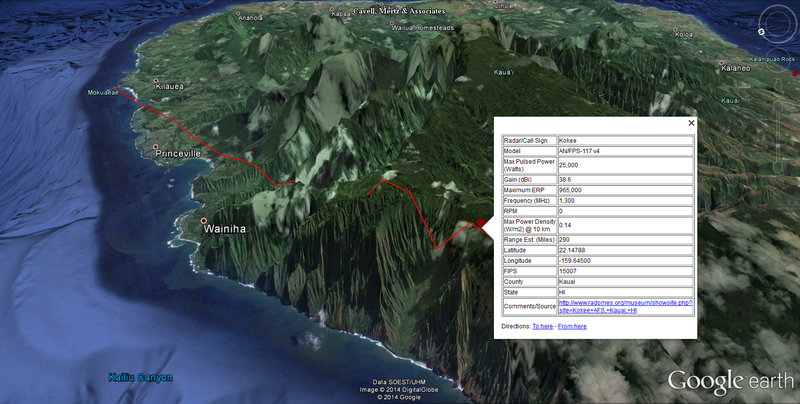 monitoring for new or unusual cases will continue into the 2013 field season. Notice the hair loss, tumors and lesions are occuring on the head and neck area. 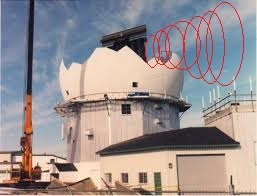 That is because the mammals are getting electromagneticuted(new word) while they are swimming in the highly conductive salty ocean water near radar towers and are getting hosed by radiation as it is scattered and ducted by the overhead atmosphere. 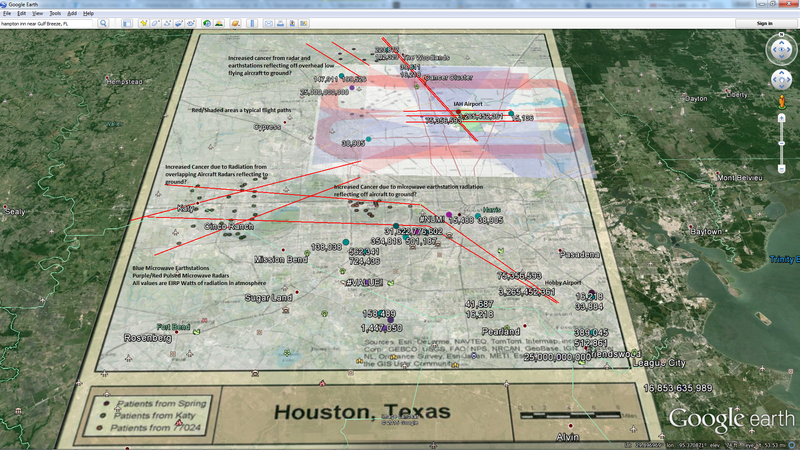 Radar guys consider them biological contaminants. 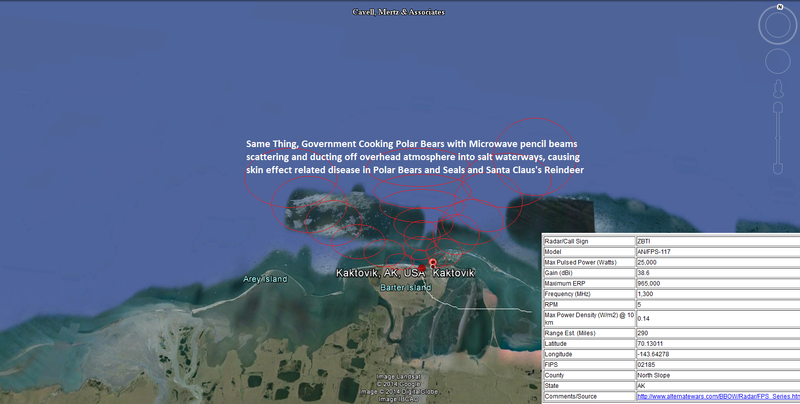 I already mentioned the carnage around the pulsed microwave radar stations at Point Lay and Barrow, Alaska. 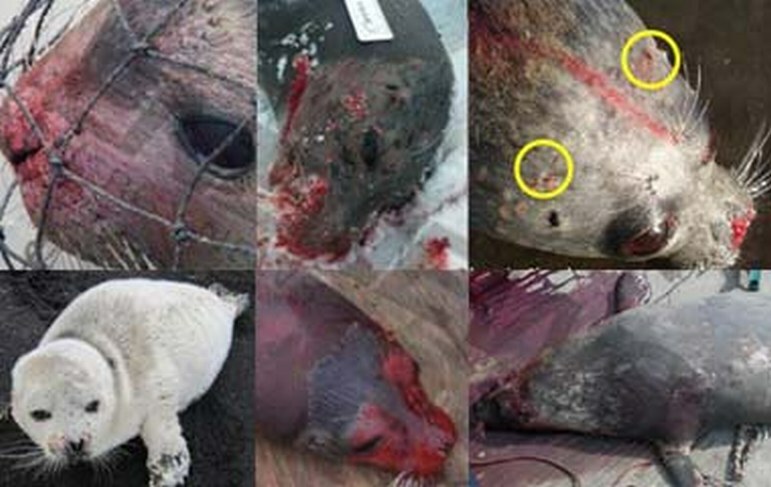 Wildlife Disease and Environmental Health in Alaska: Fact Sheet for 2013, U.S. Geological Survey (Emphasis Added): Environmental contaminants also threaten the health of wildlife and humans […] Some of these compounds persist in the environment for many years and accumulate in living organisms […] Alopecia (loss of fur) and other skin lesions were recently observed in polar bears off the northern coast of Alaska. 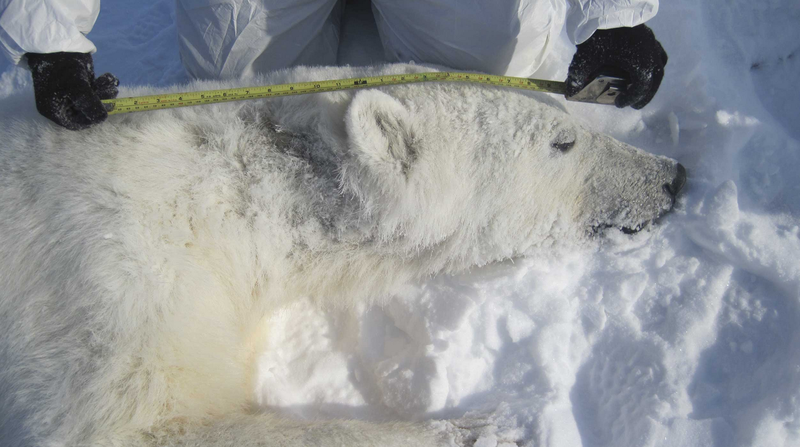 Biologists are examining samples from afflicted polar bears to identify possible causes of these lesions. […] biologists have observed a high rate of non-viable eggs (Eggshells are made of calcium) in nests of greater white-fronted geese. Future analyses will provide insights about elevated rates of embryo mortality in birds […] Coxiella burnetii, a bacterial pathogen that causes disease in animals and humans, was recently detected in polar bears, northern fur seals, and soil samples in Alaska. […] An ongoing study of emperor geese in Western Alaska allows for detailed investigation of the effects of blood parasites on specific fitness parameters, including reproductive success and adult survival. […] In another study, the Alaska Science Center has documented surprisingly high mortality (20–30 percent) of adult female musk ox during mid- to late summer in northwestern Alaska. WHAT ARE THESE RADARS DOING TO OUR CHILDREN???? NOW I KNOW WHY I AM GOING BALD!!!!!!!!! !